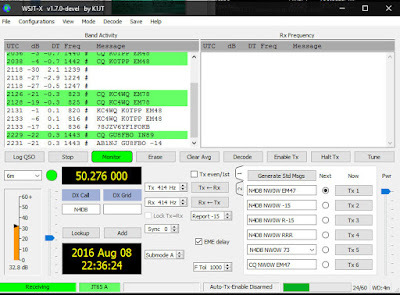 I decoded Richard at 22:29z and again at 22:31z. A few minutes later I also decoded G8BCG @ -20. This entire summer I've been using a HackRF "SDR" radio and WSJT-X to monitor for 50 Mhz Openings @ 50.276 Mhz on JT65 & JT9. I've also decoded about a week or two ago SV9CVY. Today's opening was a bit unusual in that Europe seldom is open this late in the day to EM47. It was neat to capture this while I was sitting there. The first Decode I thought was bogus, then the second one came in. 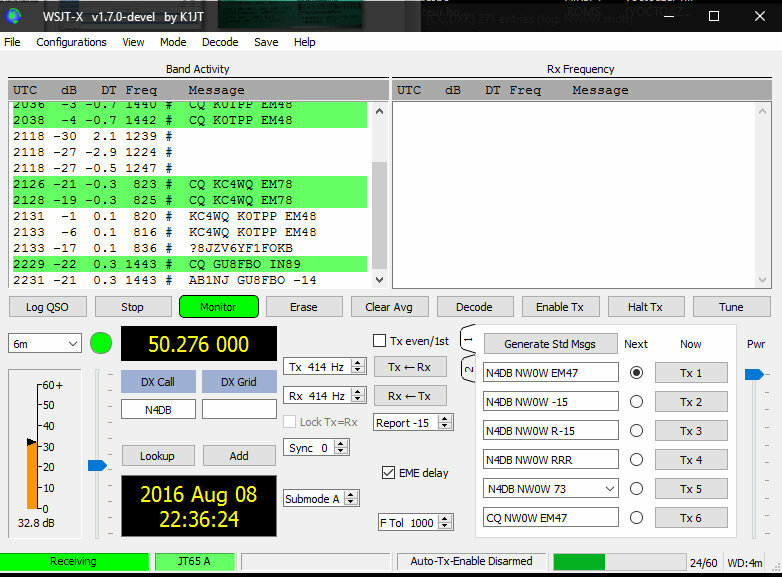 Truth is I've not had any bogus decodes using WSJT-X. I'm not using the 1.7-devel version which seems to decode a lot deeper into the noise.